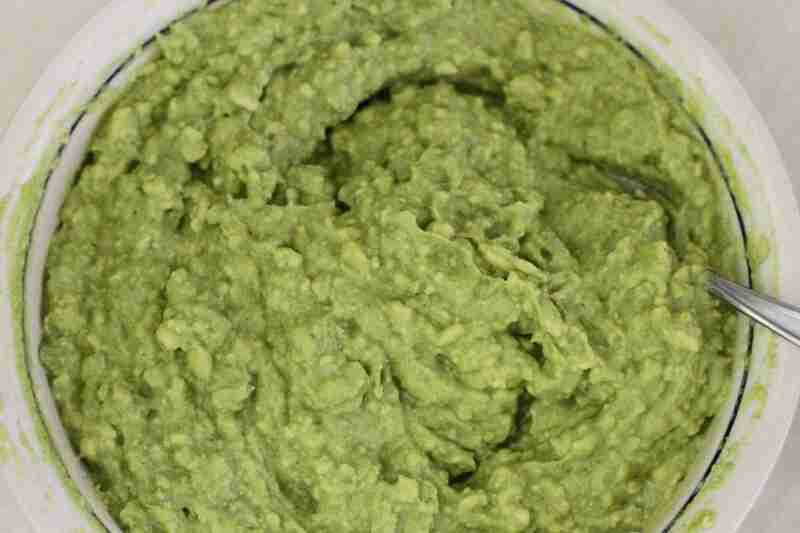 It occurred to me the other day that having a Guac recipe on your blog is almost like a Chef’s Right Of Passage. 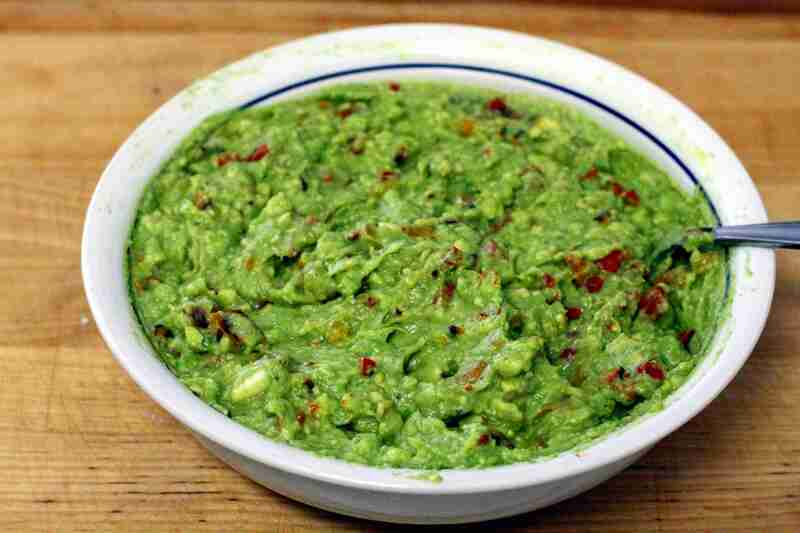 I imagine there are a few food blogs out there with no Guac recipes, like 365 Days Of Bacon. Though, on further consideration, a Guac with crumbled bacon would be divine! Look out for that recipe the next time I host a party! 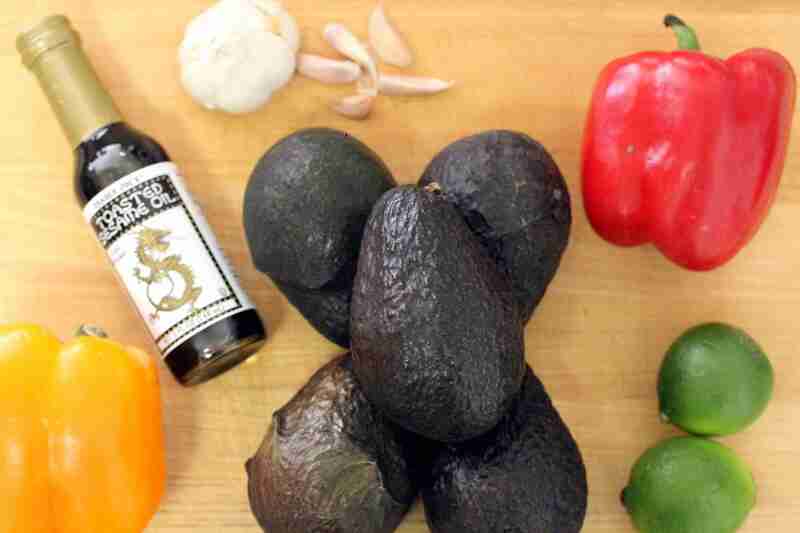 Back to the Guac being a Right Of Passage… I realized that you, my readers, can’t take me seriously as a chef until I’ve posted a Guac recipe. Obviously, every permutation of Guac already exists, and has been done. But this isn’t a food blog until there’s a Guac recipe. So, now it’s a food blog! 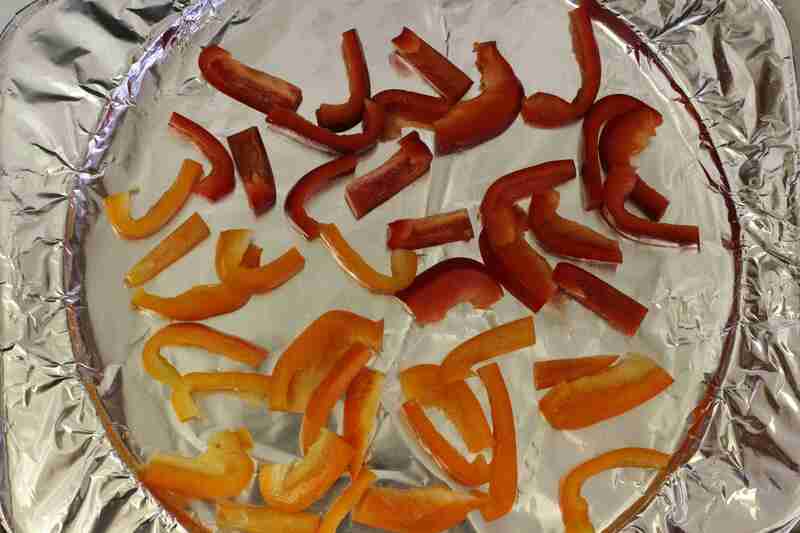 Start by toasting the Red and Orange Peppers. Slice them in to 1-inch by 1/2-inch pieces and place them on a cooking sheet with a light covering of olive oil. Put these in the oven for 7-10 minutes at 450. Keep an eye on them, you want to remove them when they are starting to show some black spots, telling you that they’re nicely toasted! As a general rule, I use about 1/4 of each pepper for each avocado in the Guacamole. I want to keep the ratio of pepper to Guacamole fairly low, since these are more for flavor and coloring than they are intended to be the bulk of the sauce. So, for 3 avocados, I would use 3/4 of each of the peppers, or about 1 and 1/2 peppers in total, leaving a half pepper for another meal. 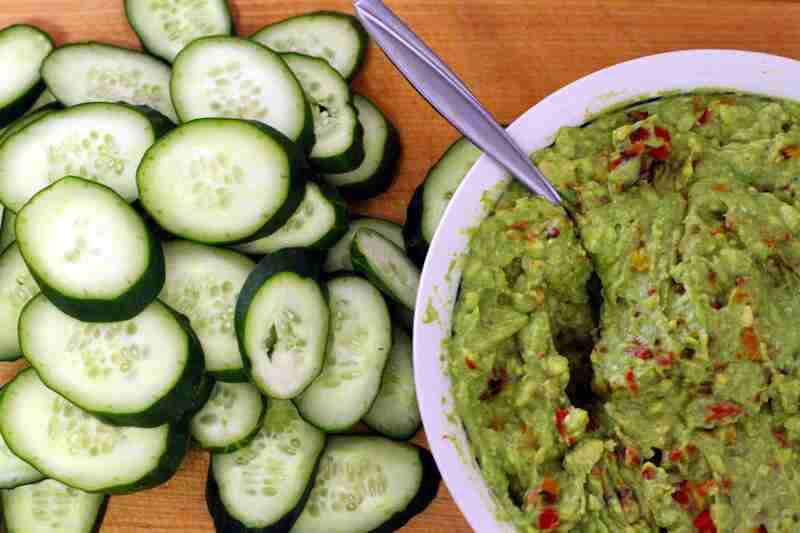 While the peppers are in the oven, cut up the avocados, in approximately 1 inch cubes and put them in a mixing bowl. 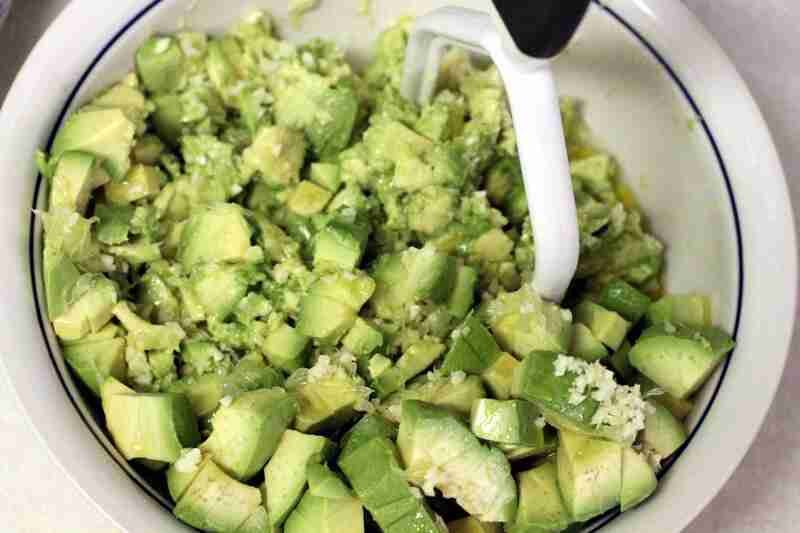 Using a potato masher, mash the avocados until they are mostly mashed, and a consistency similar to mashed potatoes. Now dice the Garlic, and slice the lime. Add the Garlic, fresh-squeezed lime, olive oil, and salt & pepper to the mix and mix thoroughly, again with the potato masher, or with a fork or spoon you have handy. 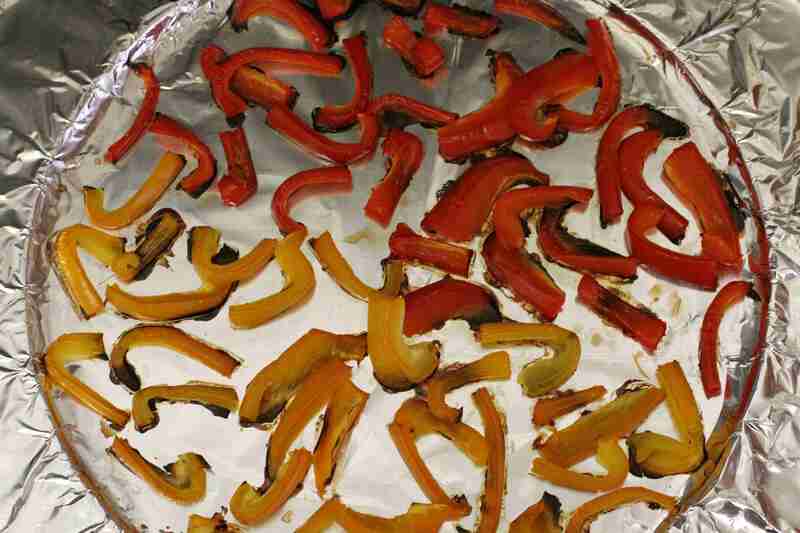 When the Peppers are starting to show some blackening and browning, remove them from the oven. If you haven’t already done so, now is the time to dice these, making them smaller chunks, easily stirred in to the Guacamole. As mentioned above, these are for a little added flavor, and coloring; they are not intended to be the entire dish. So making sure that they’re nice and small pieces ensures that they will mix in with the Guacamole well, doing their job without taking over the dish! 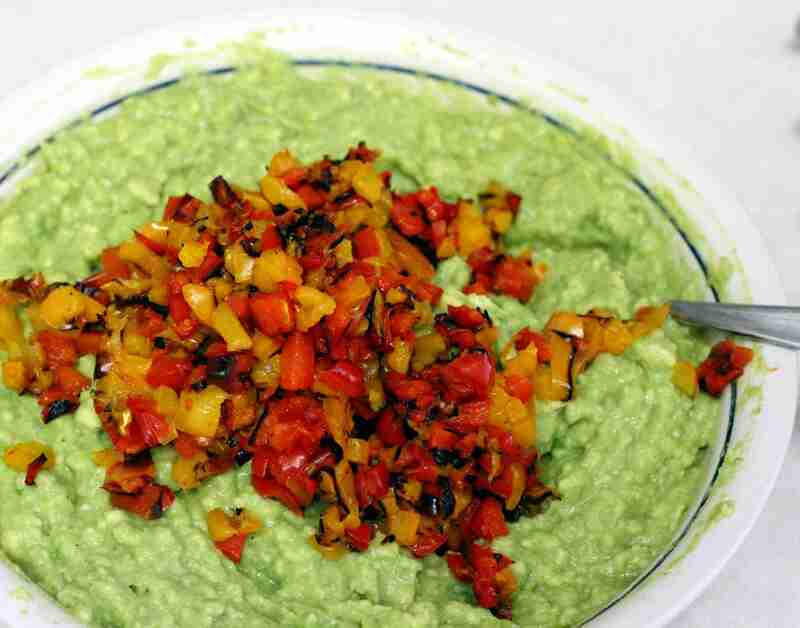 Once the toasted peppers are mixed in with the rest of the Guac, the dish is ready to be served. I like to eat my Guac with cucumber chips, as you see in the first picture. For guests who are more used to regular chips, I always keep Plantain chips in the house, and serve those along side the cucumber chips. I prefer the cucumber because the flavor is much more mild, and they don’t come pre-salted. So the prep time is low, the flavor is excellent, and it doesn’t interfere with my enjoyment of the Guac! Tell me how you make your Guac! What extra flavors would you use, or would you like to see me put up as alternate-flavor posts? I will be delighted to try out all kinds of Guac flavors and report back! Awesome! I really love the toasted peppers; the flavor is amazing! As a side note: it would work just as well, but with a different flavor, using caramelized onions, or caramelized fennel. ← Hosting a Party – and Gift Ideas!